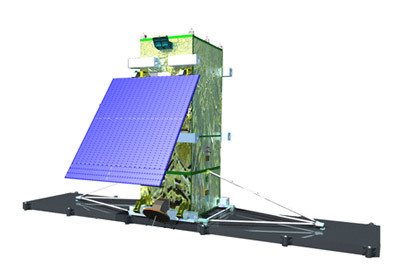 The Radarsat Constellation Mission is a follow-on project to RADARSAT-2 currently developed by MDA. The constellation will consist of a fleet of three spacecraft, and be both complementary and a follow-on to the upcoming deployment of the RADARSAT-2 mission. The primary purpose of the RCM is to provide C-Band data continuity for RADARSAT-2 users, as well as adding a new series of applications enabled through the constellation approach. The primary areas of interest are the landmass of Canada and its surrounding Arctic, Pacific and Atlantic maritime areas. The images and derived information are required to be provided to Canadian government users at frequent area coverage rates. Contrary to the earlier RadarSat missions, the imagery will not be available commercially. The spacecraft Payload will consist of a Synthetic Aperture Radar (SAR) sensor integrated with an Automated Identification System (AIS). The SAR Payload concept is a 2-panel deployable SAR antenna of length approximately 7 meters. MDA's role in the mission is mission and payload prime. The bus will be a modified version of the Canadian SmallSAT bus being developed by Bristol. The satellites will be launched together on the same Falcon-9 v1.2 (Block 5) launch vehicle.